After some fine results recently, Viswanathan Anand can hope for another improved performance against an elite field that has eight of the top ten in world ranking present here. Five times world champion Viswanathan Anand will take on Hikaru Nakamura of United States in the first round of Sinquefield Cup, a part of the Grand Chess tour. After some fine results recently, Anand can hope for another improved performance against an elite field that has eight of the top ten in world ranking present here. As usual, the favourite is World champion Magnus Carlsen of Norway, who will like to forget his last outing in the Grand Chess tour at the Norway super tournament where he finished with a below-par seventh spot netting him just four points in the over-all tally of this three-events series. The tournament will have 9 rounds between 10 players under classical chess rules with two hours allotted for first 40 moves and one hour for the remaining part of the game. After the 40th move, the players get 30 seconds increment after every move. The prize fund 300000 USD is at stake with 75000 USD reserved for the winner in addition to a 150000 USD prize pool reserved for the top three finishers in the Grand Chess tour. The tournament has last year's winner Fabiano Caruana, who will play under the US flag having relocated from Italy. Levon Aornian (Armenia), Anish Giri (Holland), Maxime Vachier-Lagrave (France), Alexander Grischuk (Russia), Wesley So (US) and Veselin Topalov (Bulgaria) complete the star- studded line up. Having finished second in Norway, Anand is in really fine nick that saw the Indian ace climb back to second in world ranking after a long gap. In here, Anand will have five black games and will have black pieces in the first two rounds against Nakamura and Alexander Grischuk of Russia. 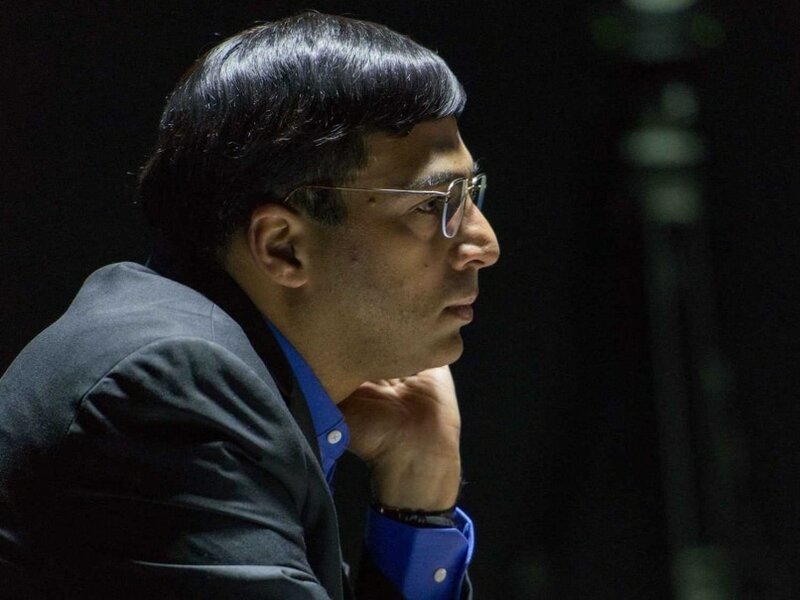 If Anand does well in the first two rounds, it's a decent draw for the Indian star as he then has white games lined up against Topalov, Vachier-Lagrave, Wesley So and Carlsen in the final round. In other black games, Anand will have to tackle Caruana, Giri and Aronian. The winner of the first edition, Veselin Topalov of Bulgaria has maximum Grand Chess tour points and he will like to retain the status quo. However, one has to remember that Topalov was very lucky to beat Carlsen in the first round of the Norway tournament when the world number one overstepped the time limit in a winning position. As fate would have it, Topalov is again pitted against Carlsen in the opener here. Pairings Round 1: Hikaru Nakamura (US) v V Anand (Ind); Anish Giri (Ned) v Alexander Grischuk (Rus); Magnus Carlsen (Nor) v Veselin Topalov (Bul); Levon Aronian (Arm) v Fabiano Caruana (US); Wesley So (US) v Maxime Vachier-Lagrave (Fra).